Welcome to the McDuffie County Health Department, where our goal is to serve citizens of McDuffie County by providing preventive health care services. 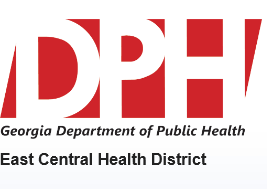 Click here to view all services provided by the McDuffie County Health Department. Our local hospital, University Hospital McDuffie, provides lab work for the HMO program for FREE. What does this mean to McDuffie county residents? University Hospital McDuffie plays an active part in the Community Health Needs Assessment with McDuffie County Health Department. The question was asked, “what can we do to help the area residents?” The McDuffie County Health Department and UHM will work together for wellness and overall health. UHM at this time provides needed mammograms for residents and makes special accommodations by having clinics on Saturday. Lab work that must be monitored is also provided to those residents in the Cardiovascular screening program. It is UHM’s pleasure to reach out and provide needed services to the area residents.